How Dance Teacher Training can Unleash your Entrepreneurial Spirit! When you think of an entrepreneur what image springs to mind? The Dragons in the Den?Sir Alan Sugar? Richard Branson? High flyers flying business class from City to City around the world? Well you might be right but what if I told you that you too could be an entrepreneur. The meer fact that you are reading this post says that you are thinking about embarking on an entrepreneurial journey. Being an entrepreneur is not about flash cars or fancy clothes (although they are often a great bonus) . It’s about making a living out of something you believe in and are passionate about. Taking a dance teacher training course with teach dance is your first step to becoming an entrepreneur and being in control of your own destiny! With an IDTA dance teacher qualification you will become a dance teacher with credibility. You will be able to enter children for dance exams, set up a dance school, or teach in schools; The possibilities are endless and it all begins with a dance teachers qualification. I know because it is the very same dance teacher qualification that has allowed me to grow my very successful dance business and now allows me to help you do the same. A lot of people may argue that we are in a recession and it is hardly the right time to start a business but a true entrepreneur sees opportunity in hard economic times. There is no right time to start a business and in fact a recession is probably a better time than any other. For example it is now easier than ever before to negotiate a good price for your venue hire as venue landlords are keen to hire out their spaces for classes and are offering competitive rates right now! This will mean you will make more profit from your classes. Throughout a recession there are some services that people will still pay for. Dance makes people feel good, people want to keep fit and they want their children to do worthwhile activities. So they will still pay for your classes if you offer quality. So a new year and a new start. A great opportunity to make your passion your business and turn your dreams of being your own boss into reality. 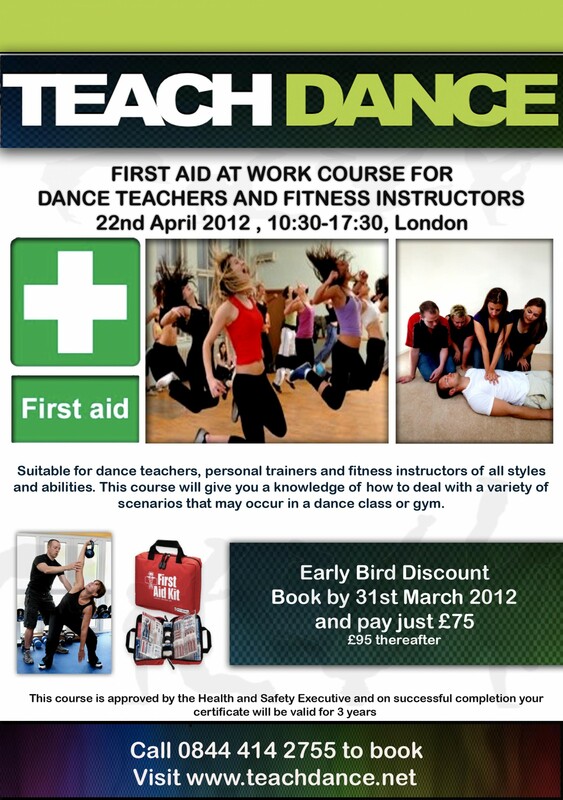 Become a dance teacher, I never looked back and neither will you!